What's next? 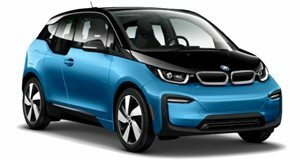 Electrifying M cars? Probably. Things are changing rapidly in today’s auto industry. Electrification, once a topic discussed mainly by the likes of environmental activists, is now at the top of the agenda for automakers. BMW is without question committed to electric vehicles, but perhaps not quite at the level of say, GM, which has committed itself to phase out internal combustion engines. But Green Car Reports that the German automaker announced last week at its annual shareholders meeting plans to launch 12 new all-electric vehicles by 2025. Two of those will debut in the next two years. At last count, there are seven M models, in case you still haven’t grasped the scope of BMW’s commitment to electrification. 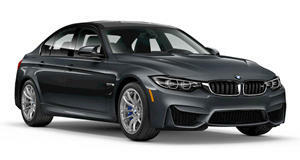 Yes, the M lineup will likely grow as well, but those EVs will also be joined by 13 plug-in hybrids. That’s a total of 25 new electrified Bimmers in only six years. 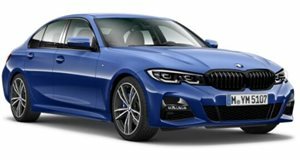 Those plug-in hybrids, by the way, will not be all-new models, but rather modified versions of the 3 and 7 Series, X3, and X5. As for the new EVs, expect to see the debuts of the Mini Electric, which is set to debut this year, the iX3 SUV next year, and the i4 sedan and iNext SUV in 2021. While all of this is happening, BMW is also busy working on its next-generation electric drivetrain. It plans to spend some $56 million to expand its Dingolfing, Germany factory to produce battery packs as well. What’s intriguing about this platform is the motor it’ll be paired with; it won’t need rare raw materials. Not only is that good environmentally but it’ll also help bring down costs for both BMW and customers. There’s also another vital factor to know: the versatility of BMW’s electric platforms and advanced production processes. For example, it can build pure EVs, plug-in hybrids, and internal combustion vehicles on the same production lines. Dedicated plants for different powertrains are not necessary. It’s impossible to predict whether EV demand will dramatically increase in the near future, but BMW is preparing to adapt to market tastes. At the same time, it knows full-on electrification is inevitable. Even the former BMW M boss told us that over a year ago.